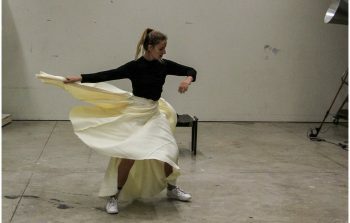 10Jessica develops a dervish style knife skirt dance which premiered at the SURPLUS performance in William Kentridge’s studio in Maboneng Johannesburg. Thematic inquiries into the notions of human vs machine, and alternate views of history are present. 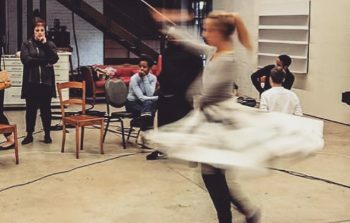 This dervish dance involving long, precarious knives takes spinning at contiuum was developed by Jessica Nupen in collaboration with William Kentridge and was performed at part of The Centre for the Less Good Idea’s SEASON 4 with Billy Langa and Mahlatsi Mokgonyana.